Congratulations to Stirfire Studios for successfully making and releasing Symphony of the Machine! It’s been long journey, but now that it’s over, you can finally look back and be proud of what you’ve accomplished! Originally born at a Global Game Jam, Symphony of the Machine was showcased a week later at the Playup Perth Global Game Jam Special Edition #3. 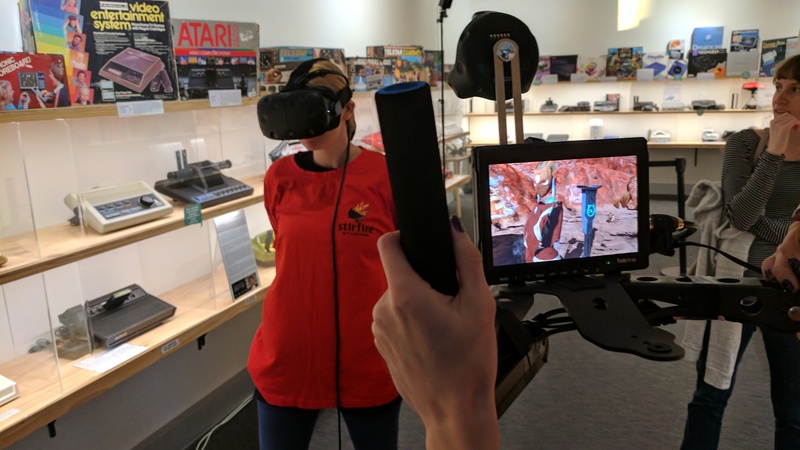 Since then, we’ve seen Stirfire at Playup Perth Friday #6 and the Playup Perth VR Special Edition. The game is a VR puzzler from Stirfire Studios in which players restore life to a post-apocalyptic world by manipulating a mysterious tower that controls the weather. It’s a far cry from other VR games on the market, adopting a zen-like feel to its gameplay. It was designed with those who suffer from VR motion sickness in mind, so now the creators of the game have something to play on VR that won’t make them yak afterwards! Stirfire Studios is a Perth-based game development studio who made a splash a few years back with their critically acclaimed platformer, Freedom Fall. If you’d like to know more about their newly released game, you can check out the game’s website. Keep the games coming, guys!